Since we know it’s going to be at least a few months until the next iPhone comes out and seeing as the “new” iPad just came out recently, that means it’s time for Apple MacBook Pro rumors and speculation. What fun! The new hotness is reportedly undergoing testing as you read this with an eye to a Summer launch. I, for one, can’t wait to check it out. 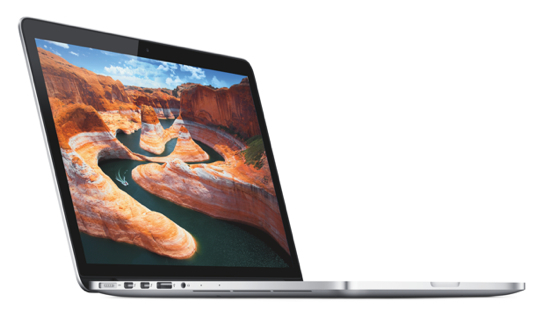 Although, I’m probably more interested in a new 13″ MacBook Pro or MacBook Air with these specs. I just don’t need a 15 inch display and the weight that goes with it. Unless, of course, it weighs the same as my current MacBook Air. In that case, I might have to give it a serious look. We know, we know, Apple announced all this new cool stuff yesterday. Sadly, we were having some technical problems here at the site yesterday and we didn’t get a chance to bring you the news about what the company announced. So, in the interest of thoroughness, here’s what Apple had to say. Get your credit cards ready. Lion will launch this coming Summer, though no specific release date was provided. The Mac App Store will be available within 90 days, however, as an addition to Snow Leopard. Next, let’s turn to Apple’s suite of applications called iLife. As expected, the suite was updated to give us the new iLife ’11.